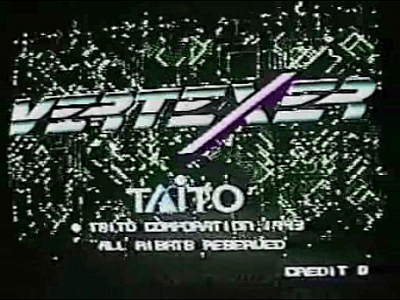 Vertexer © 1993 Taito Corp. This game runs on a IDYA (Interactive Dynamic Accelerator) cabinet. Other games that also run on this cabinet are "Cyber Sterra", "Cave Speeder" and "Galactic Storm". This game had a very limited release or was location tested (March 1993?) and cancelled.